It has been requested that the title of this article be changed to Shōwa (1926–1989) . Please see the relevant discussion on the discussion page. The page should not be moved unless the discussion is closed; summarizing the consensus achieved in support of the move. The Humanity Declaration is an imperial rescript issued by the Emperor Shōwa (Hirohito) as part of a New Year's statement on 1 January 1946 at the request of the Supreme Commander of the Allied Powers. In the rescript, which follows the Five Charter Oath of 1868, the Emperor denied the concept of his being a living god, which would eventually lead to the promulgation of the new Constitution, under which the Emperor is "the symbol of the State and of the unity of the people". The term Shōwa (昭和) could be roughly understood as "radiant Japan" or "Japanese glory". The two kanji characters were from a passage of the Chinese Book of Documents: "百姓昭明，協和萬邦" (Translated: "[T]he people (of his domain), ... all became brightly intelligent. (Finally), he united and harmonized the myriad states.") From this same quotation, Japan also adopted the era name Meiwa (明和) during the Edo period in the late-18th century. There were two other candidates at the time - Dōwa (同和) and Genka (元化). The Book of Documents or Classic of History, also known as the Shangshu, is one of the Five Classics of ancient Chinese literature. It is a collection of rhetorical prose attributed to figures of ancient China, and served as the foundation of Chinese political philosophy for over 2,000 years. Meiwa (明和) was a Japanese era name after Hōreki and before An'ei. This period spanned the years from June 1764 through November 1772. The reigning empress and emperor were Go-Sakuramachi-tennō (後桜町天皇) and Go-Momozono-tennō (後桃園天皇). The Japanese era name, also known as gengō (元号), is the first of the two elements that identify years in the Japanese era calendar scheme. The second element, a number, indicates the year number within the era. The third part is the literal "nen (年)" meaning "year". Meanwhile, the London Naval Treaty was ratified in 1930. Its purpose was to extend the Washington Treaty System. The Japanese government had desired to raise their ratio to 10:10:7, but this proposal was swiftly countered by the United States. Thanks to back-room dealing and other intrigues, though, Japan walked away with a 5:4 advantage in heavy cruisers,  but this small gesture would not satisfy the populace of Japan which was gradually falling under the spell of the various ultra-nationalist groups spawning throughout the country. As a result of his failings regarding the London Naval Treaty, Prime Minister Hamaguchi Osachi was shot on November 14, 1930, by an ultranationalist and died in 1931. By this time, the civilian government had lost control of the populace. A New York Times correspondent called Japan a country ruled by "government by assassination." The army, moving independently of the proper government of Japan, took the opportunity to invade Manchuria in the Summer of 1931. Prior to 1868, most Japanese more readily identified with their feudal domain rather than the idea of "Japan" as a whole. When the Tokugawa bakufu was overthrown, the leaders of the revolt, Satsuma and Chōshū, were ideologically opposed to the house of Tokugawa since the Battle of Sekigahara. The Meiji period changed all of that. With the introduction of mass education, conscription, industrialization, centralization, and successful foreign wars, Japanese nationalism began to foment as a powerful force in society. Mass education and conscription served as a means to indoctrinate the coming generation with "the idea of Japan" as a nation instead of a series of daimyōs . In this way, loyalty to feudal domains was supplanted with loyalty to the state. Industrialization and centralization gave Japanese a strong sense that their country could once more rival & dominate Western powers technologically and socially. Moreover, successful foreign wars gave the populace a sense of martial pride in their nation. Within the state, the idea of a Greater East Asian Co-Prosperity Sphere began to foment. The nationalists believed that the "ABCD powers" (Americans, British, Chinese, Dutch) were a threat to all Asians and that Asia could only survive by following the Japanese example. Japan had been the only Asian and non-Western power to industrialize itself successfully and rival great Western empires. While largely described by contemporary Western observers as a front for the expansion of the Japanese army, the idea behind the Co-Prosperity Sphere was that Asia would be united against the Western powers and Western Imperialism under the auspices of the Japanese. The idea drew influence in the paternalistic aspects of Confucianism and Koshitsu Shinto. Thus, the main goal of the Sphere was the hakkō ichiu , the unification of the eight corners of the world under the rule (kōdō) of the Emperor. The reality during this period differed from the propaganda. Some nationalities and ethnic groups were marginalized, and during rapid military expansion into foreign countries, the Imperial General Headquarters tolerated many atrocities against local populations, such as the experimentations of unit 731, the sankō sakusen , the use of chemical and biological weapons and civilian massacres such as those in Nanjing, Singapore and Manila. By the end of July 1937, the Japanese had slaughtered the elite 29th Army at Kupeikou [ citation needed ] and soon captured Beijing. From there, the Japanese advanced down south through the major railway lines (Peiping-Suiyan, Peiping-Hankow, and Tientsin-Pukow). These were easily conquered by the superior Japanese army. Japan launched multiple attacks in East Asia. In 1937, the Japanese Army invaded and captured most of the coastal Chinese cities such as Shanghai. 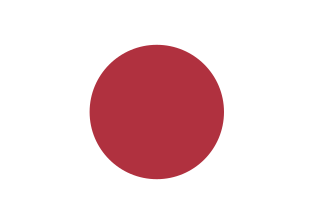 Japan took over French Indochina (Vietnam, Laos, Cambodia), British Malaya (Brunei, Malaysia, Singapore) as well as the Dutch East Indies (Indonesia). Thailand managed to stay independent by becoming a satellite state of Japan. In December 1941 to May 1942, Japan sank major elements of the American, British and Dutch fleets, captured Hong Kong,  Singapore, the Philippines and the Dutch East Indies, and reached the borders of India and Australia. Japan suddenly had achieved its goal of ruling the Greater East Asia Co-Prosperity Sphere. ↑ Nussbaum, Louis-Frédéric. (2005). "Shōwa" in Japan Encyclopedia, p. 888 , p. 888, at Google Books; n.b., Louis-Frédéric is pseudonym of Louis-Frédéric Nussbaum, see Deutsche Nationalbibliothek Authority File Archived 2012-05-24 at Archive.today . Dower, John W. Empire and aftermath: Yoshida Shigeru and the Japanese experience, 1878-1954 (1979) for 1945-54. Dower, John W. "Occupied Japan as History and Occupation History as Politics." Journal of Asian Studies 34#2 (1975): 485-504. Hunter-Chester, David. Creating Japan's Ground Self-Defense Force, 1945–2015: A Sword Well Made (Lexington Books, 2016). Nobusuke Kishi was a Japanese politician and the 56th and 57th Prime Minister of Japan from 25 February 1957 to 12 June 1958, and from then to 19 July 1960. He is the maternal grandfather of Shinzō Abe, twice prime minister in 2006–2007 and 2012–present. Inukai Tsuyoshi was a Japanese politician, cabinet minister, and Prime Minister of Japan from 13 December 1931 to his assassination on 15 May 1932. 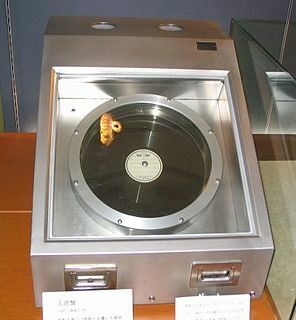 The Jewel Voice Broadcast was the radio broadcast in which Japanese Emperor Hirohito read out the Imperial Rescript on the Termination of the Greater East Asia War, announcing to the Japanese people that the Japanese Government had accepted the Potsdam Declaration demanding the unconditional surrender of the Japanese military at the end of World War II. This speech was broadcast at noon Japan Standard Time on August 15, 1945. The Taishō period, or Taishō era, is a period in the history of Japan dating from 30 July 1912, to 25 December 1926, coinciding with the reign of the Emperor Taishō. The new emperor was a sickly man, which prompted the shift in political power from the old oligarchic group of elder statesmen to the Imperial Diet of Japan and the democratic parties. Thus, the era is considered the time of the liberal movement known as the "Taishō democracy" in Japan; it is usually distinguished from the preceding chaotic Meiji period and the following militaristic-driven first part of the Shōwa period. Japanese nationalism is the nationalism that asserts that the Japanese are a monolithic nation with a single immutable culture, and promotes the cultural unity of the Japanese. It encompasses a broad range of ideas and sentiments harbored by the Japanese people over the last two centuries regarding their native country, its cultural nature, political form and historical destiny. It is useful to distinguish Japanese cultural nationalism from political or state-directed nationalism, since many forms of cultural nationalism, such as those associated with folkloric studies, have been hostile to state-fostered nationalism. Shōwa Day is a Japanese annual holiday held on April 29. It honors the birthday of Emperor Shōwa (Hirohito), the reigning emperor from 1926 to 1989. Shō (昭) means “shining” or “bright”, and wa (和) means “peace”, signifying the "enlightened peace" that citizens receive. According to the now defunct Democratic Party of Japan, the purpose of the holiday is to encourage public reflection on the turbulent 63 years of Hirohito's reign. Japanese militarism refers to the ideology in the Empire of Japan that militarism should dominate the political and social life of the nation, and that the strength of the military is equal to the strength of a nation. The political situation in Japan (1914–44) dealt with the realities of the two World Wars and their effect on Japanese national policy. Shōwa Statism was a political syncretism of Japanese extreme right-wing political ideologies, developed over a period of time from the Meiji Restoration. It is sometimes also referred to as Shōwa nationalism or Japanese fascism. History of Japanese foreign relations deals with the international relations in terms of diplomacy, economics and political affairs from about 1850 to 2000. The kingdom was virtually isolated before the 1850s, with limited contacts through Dutch traders. The Meiji Restoration was a political revolution that installed a new leadership that was eager to borrow Western technology and organization. The government in Tokyo carefully monitored and controlled outside interactions. Japanese delegations to Europe brought back European standards which were widely imposed across the government and the economy. Trade flourished, as Japan rapidly industrialized.